Your coat is amazing, and I love the teapot in the background! This is such a nice outfit! I love the skirt and coat! Just found your blog through the guest post actually, and I'm in love with your style! Probably going to stalk your blog back to first post if that's ok haha. Congrats on the feature :D I'm going to read it all right now! 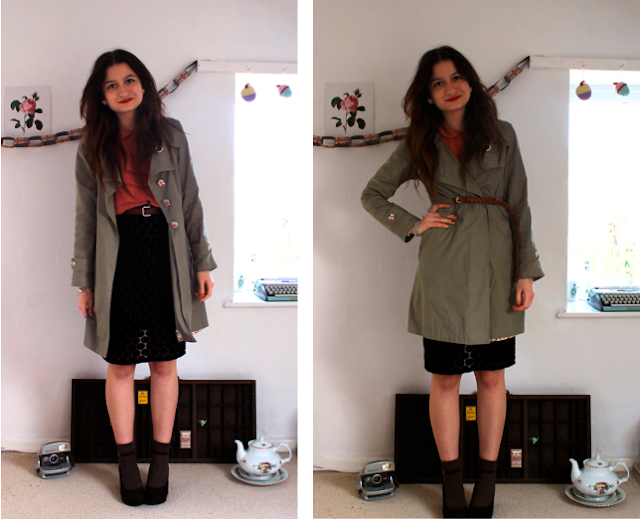 I loved the guest post and the outfit! You have impeccable style! You look wonderful, I really enjoy the coat. Charming! Love this another style inspiration from your blog. Will do check the rest out of this post. So glad to have found your blog today! It is wonderful, and you have lovely style. I am now following you =). Please visit me at thelittledandy.com ! I hope you'll enjoy my blog as much as I do yours. And I hope you'll decide to follow me, too <3.